This publication provides guidance on the institutional arrangements for regulators. 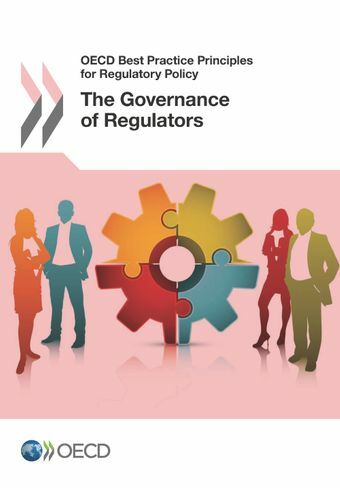 As one of the main actors in regulatory policy, regulators have an important and increasingly complex role in the delivery of regulatory regimes and regulations. The governance arrangements for regulators are a key factor in a regulator’s ability to operate effectively to achieve the social, environmental and economic outcomes it is responsible for. European Regulators Group for Audiovisual Media Services (ERGA), ERGA Report on the independence of National Regulatory Authorities (December 2015). Australian Productivity Commission, Mutual Recognition Schemes (September 2015). Improving Economic Regulation of Urban Water: A report prepared for the Water Services Association of Australia (August 2014). Australian National Audit Office, Best Practice Guide: Administering Regulation: Achieving the Right Balance (June 2014).